The concept of a "smart" neighbourhood in Toronto designed with cutting edge technology made by an internet giant is a thrilling idea for some, but a concern for others. 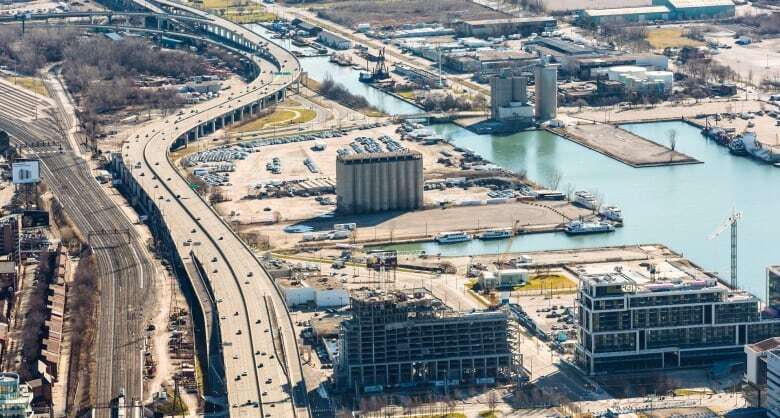 Waterfront Toronto announced this week it will partner with Sidewalk Labs, a sister company of Google, to develop the east waterfront — a mostly derelict former industrial space on the shore of Lake Ontario, south of Parliament Street. Dan Doctoroff, the company's CEO and former deputy mayor of New York City, says the company will spend the next year coming up with a plan that will create affordable housing, put new technology like autonomous vehicles front and centre, while being the city's greenest development. "We are convinced that we can dramatically lower the cost of living," he told CBC Radio's Metro Morning. But the proposals also raise serious questions about the public's privacy in a neighbourhood that would be full of cameras and sensors, as well as how the new designs would actually get built. "They have no permission to build anything," said Coun. Paula Fletcher, who has been heavily-involved in plans to redevelop the nearby Port Lands. Fletcher says she's looking forward to seeing the ideas Sidewalk comes up with following a year's work and a series of public consultations, but warns they'll be held to a high standard. "It has to be good enough for Toronto. And it has to meet certain standards as far as jobs and land use are concerned," she said. What does Google know that the city doesn't? Martin Kenney, a professor of community and regional development at the University of California at Davis, says Sidewalk has some advantages when it comes to building a brand new community — including, yes, a lot of money (the company will pay $50 million US just to do the planning work). Kenney co-wrote an article called "The Rise of the Platform Economy" last year, outlining the changes tech giants like Google, Facebook and Amazon are making in the world. "We are in the midst of a reorganization of our economy in which the platform owners are seemingly developing power that may be even more formidable than was that of the factory owners in the early industrial revolution," Kenney writes in the article. Reached by phone, Kenney says Toronto will need to be careful when it comes to making a potential deal with Sidewalk, especially because as the first place to partner on such a large development, this sets a precedent for other cities. Meanwhile, he says it's fairly clear what Google's after. "To get the data of a community… could be very powerful," Kenney says, adding that even extends to the planning process. Google, he explains, is all about learning. The chance to gather information as it moves its ideas into a plan that will be put before the public, he said, could be worth the investment alone. Waterfront Toronto's outline of the project states that the city is at a "crossroads" and lists the following challenges — climate change, providing housing for all sorts of people, and job creation. Sean Meagher, executive director of Social Planning Toronto, says the city should be doing this work, Google or not. He says the concept is "super exciting," but urges the city and public to watch Sidewalk's proposals closely. "Let's make sure we don't take our eyes off protecting the public interest," he said. Meagher says while data can be a powerful tool to help develop communities, Sidewalk should also make sure it considers the "real lived experience" of those in the area. Doctoroff is vowing Sidewalk's work won't be a "top down" development. The organization's first public consultation is set for Nov. 1.